Stories, legends and folklore around the world about romances have always mentioned the importance of flowers in the aspects of love. Whether you are in the same city or placed far away, Petals can help you send romantic flowers to your love no matter where you are. 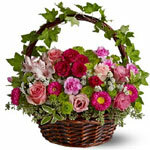 Select from an exquisite range of bouquets and arrangements and send it across cities or even oceans to your lover far away. 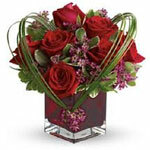 Tradition decrees that nothing says romance like red roses. 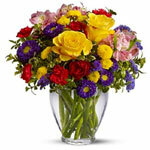 Petals can help you with red roses and with any other sort of flower gift you would like to send. If you'd like to be a little different but still romantic there are a range of romantic gift baskets, pamper packs, sparkling wine and chocolate hampers available through our combined services. 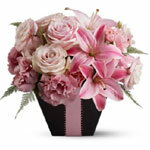 Maybe you would prefer to send something a bit light-hearted for a birthday, anniversary or just a 'pick-me-up'. 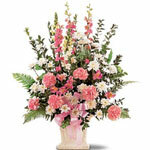 Flowers are a reliable and speedy gift and are available for same day delivery. Exquisitely arranged flowers are the truest symbols of the love and probably the best option in making the day special for your love. You can even add balloons, chocolates or a teddy bear to add that extra special something.